Born: May 25, 1903 in Somerville Ma. 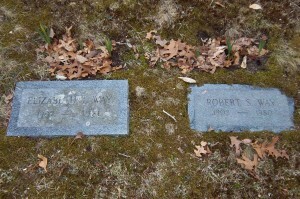 Died: April 29, 1980 in Pocasset Ma. at 76 yrs. Where Lived: Worcester & Pocasset Ma. Married: 1933 in Somerville Ma. 1. Peter N. Way; (May 10, 1936 – ? ); Married Rosa A. DelRosso.